MOSCOW, September 11. /TASS/. The Vostok 2018 exercise, the largest in Russia’s modern history, which involves 300,000 troops, got underway in the Eastern Military District on Tuesday, the press service of the Russian Defense Ministry told reporters. 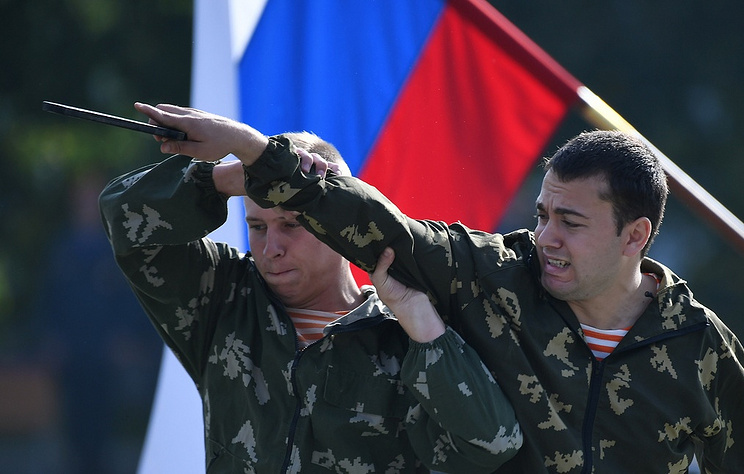 "The Vostok 2018 troop exercises have begun in Russia’s Far East," the ministry said. Taking part in the drills are about 300,000 Russian troops, over 1,000 aircraft, helicopters and unmanned aerial vehicles, up to 36,000 tanks, armored personnel carriers and other vehicles, up to 80 ships and supply vessels, the Defense Ministry added. Russian Defense Minister Sergei Shoigu supervises the drills. Exercises similar in scale have not been held since 1981 when the Zapad-81 drills that involved about 100,000 troops were held in the Soviet Union's Belarusian, Kiev and Baltic Military Districts and in the Baltic Sea. The Vostok 2018 exercise will last until September 17. According to Chief of Russia’s General Staff Valery Gerasimov, its main purpose is to check the level of training that can be assessed only in an exercise of proper scale.